This stunning Shadowhawk 2 story, 4 bedrm, 3.5 bath pool home features beautiful upgrades including granite countertops, crown molding, 5'' baseboards, neutral colors, plantation shutters, duette shades, silhouettes, upgraded flooring, lighted ceiling fans & much more! Formal living & family rms w/fireplaces; the family rm has a built-in media center. The gourmet kitchen displays an oversized granite island w/a breakfast bar, under-cabinet lighting, a double oven, a walk-in pantry & breakfast nook. There is a downstairs en suite bed/bath. The upstairs master features a sitting rm & master bath w/dual walk-in closets, dual sinks, a sit-down vanity, a travertine surround shower & a jetted tub w/a granite surround. Additional features include dual air, attic fans, security system, electric air filters, & energy-efficient tinted dual paned windows. The tropical backyard features a built-in BBQ island/bar, salt water pool w/waterfalls & jet streams, a spill-over spa, all w/Three River Rock accents & decking. 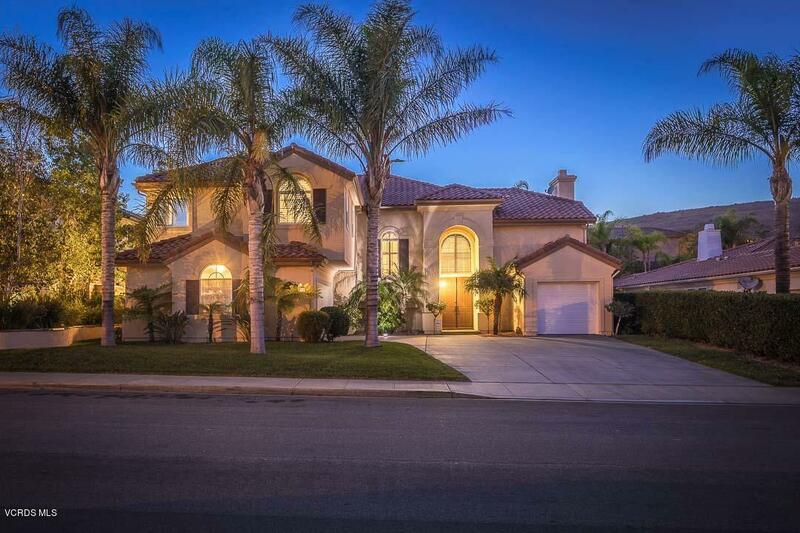 Located in the prestigious east Simi Valley community of Shadowhawk, convenient to hiking & walking trails, parks, award-winning schools, shopping, restaurants & just a short distance to the 118 Fwy. for the commuter. Sold by Nonmember Agentdefault BRE#00779926 of Nonmember Officedefault. Listing provided courtesy of Alex Gandel DRE#00779926 of Pinnacle Estate Properties.